“Very knowledgeable, reasonably priced, informed about his industry, and I love that the products are environmentally friendly. “Keith does an amazing job. He is professional, prompt, and gets carpets cleaner than I could ever imagine. I really appreciate the fact that they use environmentally friendly materials and that the carpets dry so quickly! Revive your carpet, tile, and upholstery with a no obligation quote. And get one kids room (age 15 or younger) free! Read More Reviews, or Leave Us One Yourself! Please leave us a review of your own! If you had a great experience with Greener Southwest Carpet, Tile, and Upholstery Care, we’d love to hear about it. 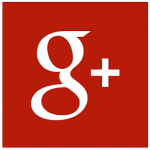 Read reviews or leave a review for us on our Google page!